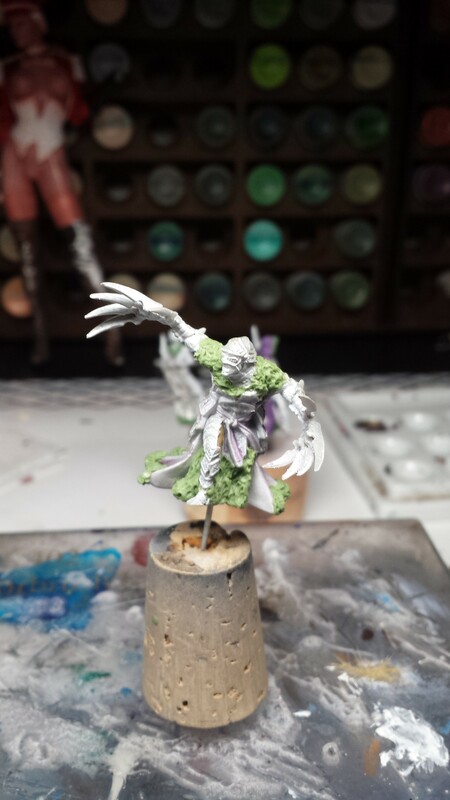 I’ve been quite busy over the last few months, but only some to do with painting. This last commission took some time but it’s finally finished. 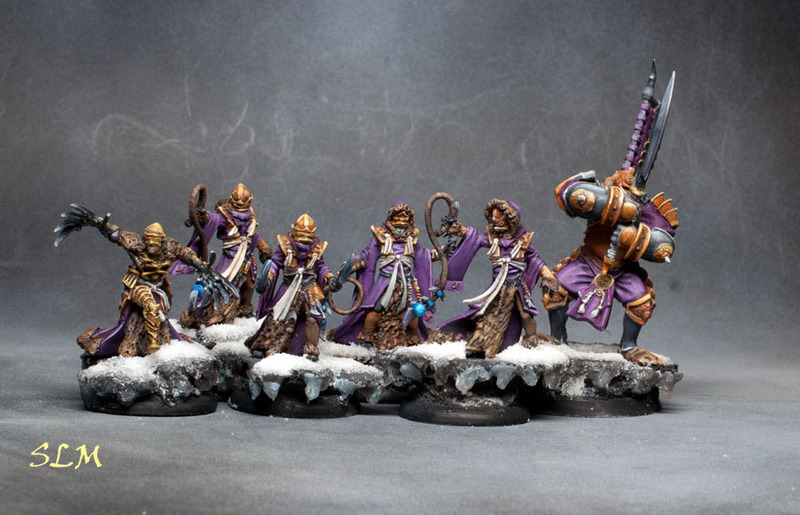 I was asked to add on some winter furs to Skorne Beast Handlers and create snow and ice bases for the five handlers and a Cyclops. This project held two firsts for me. This is the first commission that I’ve done a significant amount of NMM and is also the first time I used nail acrylic to make ice. Both were a massive challenge as well a good learning experience. 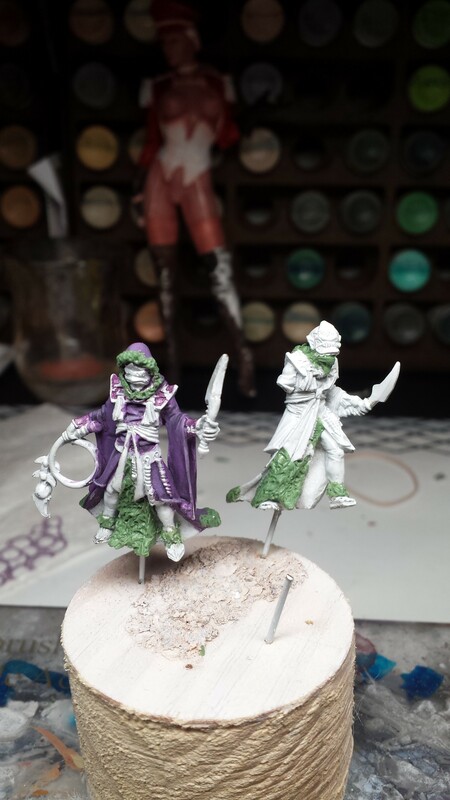 I found a couple of WIP photos of the added furs. 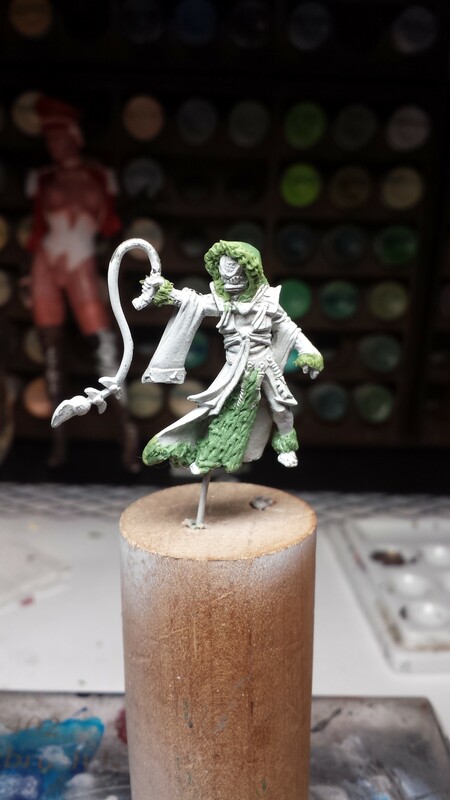 I used a mix of Milliput and Green Stuff for the fur trim and the one sculpted hood. Â Woodland Scenics snow was used for the bases over clear nail acrylic that shaped the snow mounds and icicles. I also spread on a thin film of Vallejo Water effects over the ice to give a wet appearance and to create fine tips on the ends of the icicles. Here are the final pics. 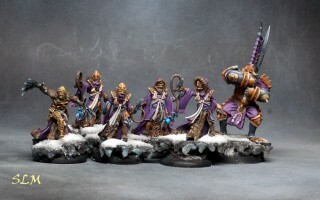 Nice work on the Skorne beast handlers, I like the colour scheme as well. I’m not too familiar with the game, is that how they usually look or custom colour choice of client? Thanks! I’m not too familiar with the game either but this color scheme was picked by the customer. I usually get references to go by. The wine cork really emphasizes how small these are. Mind blown! I don’t know how you manage the details. Amazing! Thanks! Sorry I didn’t get to your comment earlier.These guys are typically under two inches tall.